When is large tome about pasta NOT a cookbook? 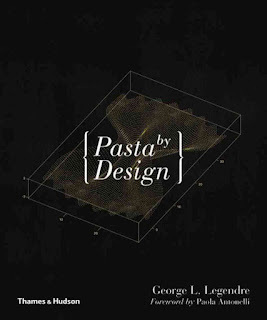 When it is Pasta By Design. 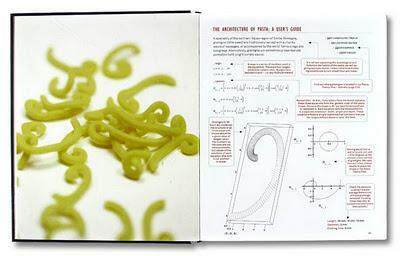 I was a huge fan of the The Geometry of Pasta, so imagine my surprise when I got it for Christmas. 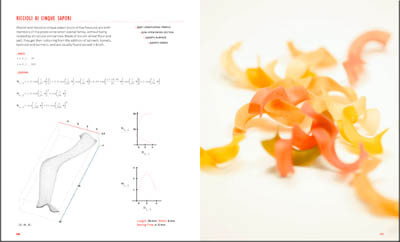 White The Geometry of Pasta was an actual cookbook, Pasta By Design is an architectural survey of the contours and construction of pasta. It is pasta as object, delineated by the mathematical mind of an architect. "The pasta family tree reveals unexpected relationships between pasta shapes, their usage and common DNA. 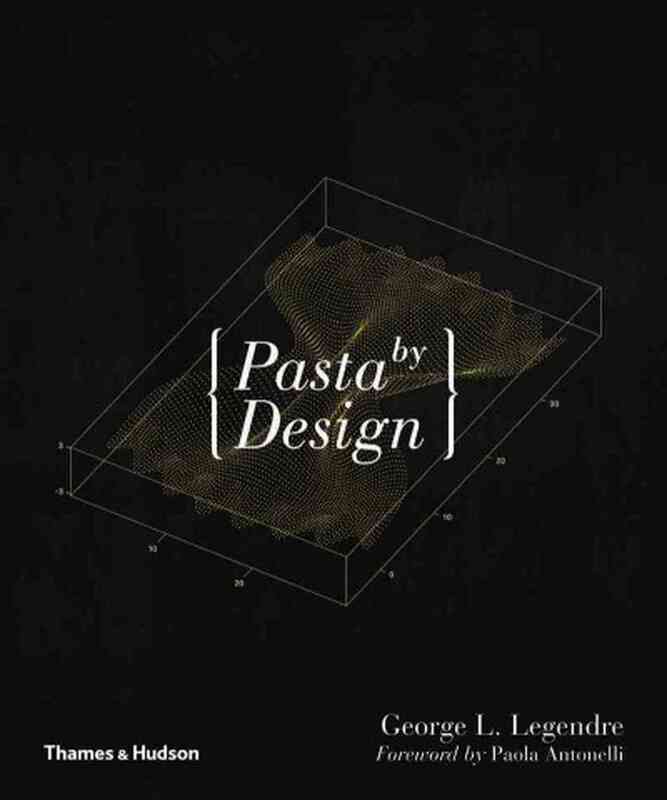 Architect George L. Legendre has profiled 92 different kinds of pasta, classifying them into types using ‘phylogeny’ (the study of relatedness among natural forms). Each spread is devoted to a single pasta, and explains its geographical origin, its process of manufacture and its etymology – alongside suggestions for minute-perfect preparation. 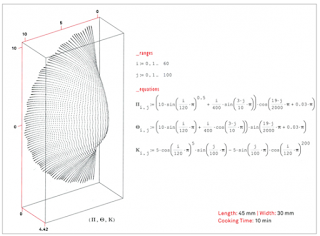 Next the shape is rendered as an equation and as a diagram that shows every distinctive scrunch, ridge and crimp with loving precision. " George L. Legendre is a London architect who obviously finds math and equations in everyday objects. After seeing bowl after bowl of pasta, the forms and fractals proved to be just too interesting to merely eat. The mathematical pursuit began. Complemented by the photographs by Stefano Graziani, one can honestly say that you will never look at that bowl of ziti in the same way.